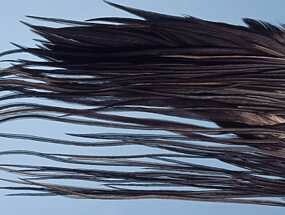 GRADE 1: Superb hackles up to 12" (30 cms) long with stiff fibres suitable for hook sizes 18 and larger. Perfect for professional tyers. GRADE 2: Almost Grade 1 with excellent hackles up to 11" (28 cms) long with stiff fibres suitable for hook sizes 16 and longer. Metz have been the market leaders in the production of genetic hackles for over 20 years and continue to offer the finest quality and best value for money for all fly-tyers GRADE 1: Superb hackles up to 12" (30 cms) long with stiff fibres suitable for hook sizes 18 and larger. Perfect for professional tyers. GRADE 2: Almost Grade 1 with excellent hackles up to 11" (28 cms) long with stiff fibres suitable for hook sizes 16 and longer.